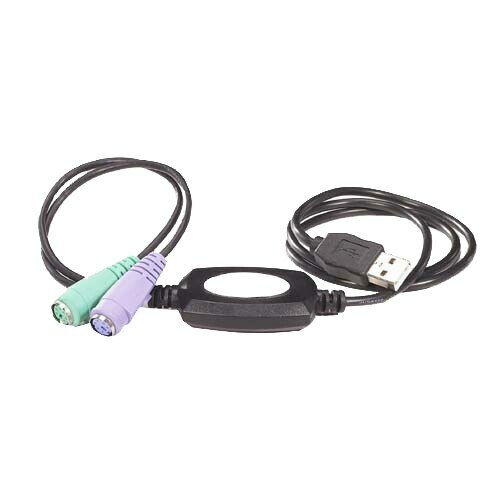 Avocent - PS2/USB Cable for SwitchView 1000 Switch - 6 ft The PS2/ USB Cable from Avocent ‚ ® provides PS2 and USB connectivity for users and target devices. 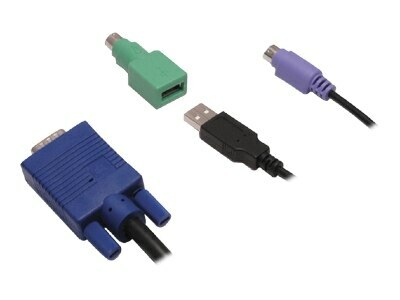 This cable features one 15-pin HD D-Sub (HD-15) Male 6-pin mini-DIN (PS/2 style) male and 4-pin USB Type A male connectors. Aten - UC10KM PS/2 to USB keyboard and Mouse Converter UC10KM is a signal converter with a 90cm cable. 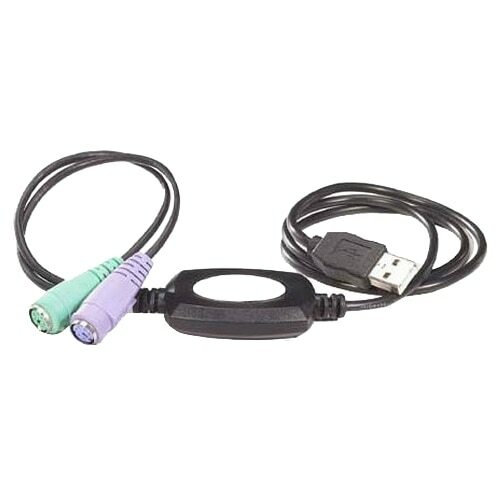 It can convert signals of PS/2 devices (keyboard and mouse) into USB signals and supports multiple operating systems to ful fill the needs of users. 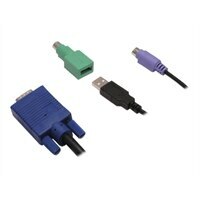 Aten - UC100KMA PS/2 to USB Keyboard and Mouse Adapter UC100KMA is a signal converter with a 30cm cable. It can convert signals of PS/2 devices (keyboard and mouse) into USB signals and supports multiple operating systems to fulfill the needs of users. 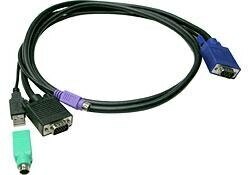 Hewlett Packard - 414619-001 414619-001 HP KVM Ps 2 USB Cat5 Rj-45 Virtual Media Interface Cable Adapter. New Bulk Pack. Hewlett Packard - 580649-001 580649-001 HP KVM Console PS2 USB Cable. New Bulk Pack. Avocent - DSAVIQ-PS2M DSAVIQ-PS2M Avocent Virtual Media Server Interface Module Kvm Usb Extender. New Retail Factory Sealed with Full Manufacturer Warranty.